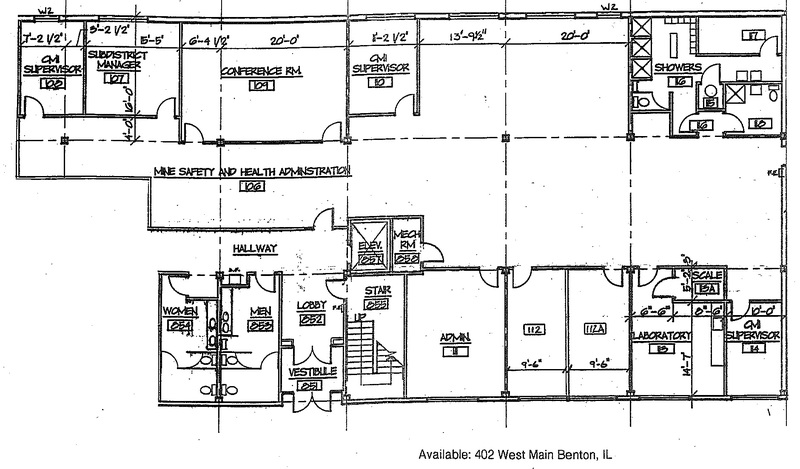 Now available premium office space in the Hiramoti Office Building located at 402 West Main Street in Benton, Illinois. This office space is conveniently located across from the Federal Courthouse and a block away from the County Courthouse. Security entrance is available for tenants requiring this option, or who simply prefer the additional security. However, alternate entrance can be provided if needed. Space is also equipped with a shower facility. Large shared parking lot with up to 90 spaces. This is a full service lease and space can be renovated to suit tenant. Prefer single tenant, however, this space can be subdivided into 2000 sq. ft. or more office units. This space is ideal for Federal, State, City or County Government offices, Law offices, Health Services, etc.